Space is scarce in rail vehicles. HARTING plug & play connectors for the transmission of data, power and signals occupy only limited space. Get a free consultation and learn more about high-speed data transmission in the smallest of space! The amount of data communication required in rail vehicles is increasing. Passengers want to keep in touch with their families, friends and colleagues by using Wi-Fi. At the same time, passenger information systems (PIS) provide data about the route, the weather and offer news, entertainment or advertisements. In order to meet the communication demands, rail vehicles need powerful network and data interfaces are according to the special requirements of rail transport. 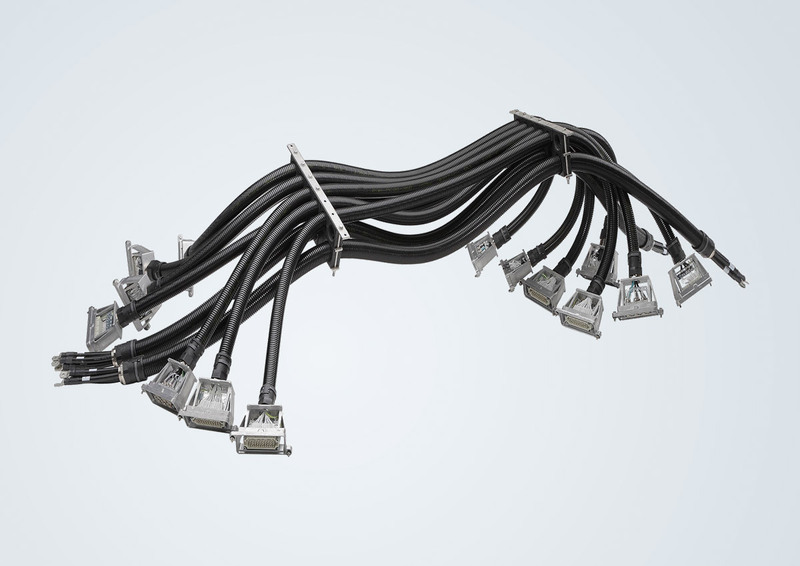 The connectors must be surrounded by robust housings and, just as the cables, shielded against electromagnetic interference (EMC). An important criterion is the speed of transmission. In order to make trains future-proof in terms of communication technology, railway operators have opted for Cat. 7A as the future transmission standard for their vehicles. 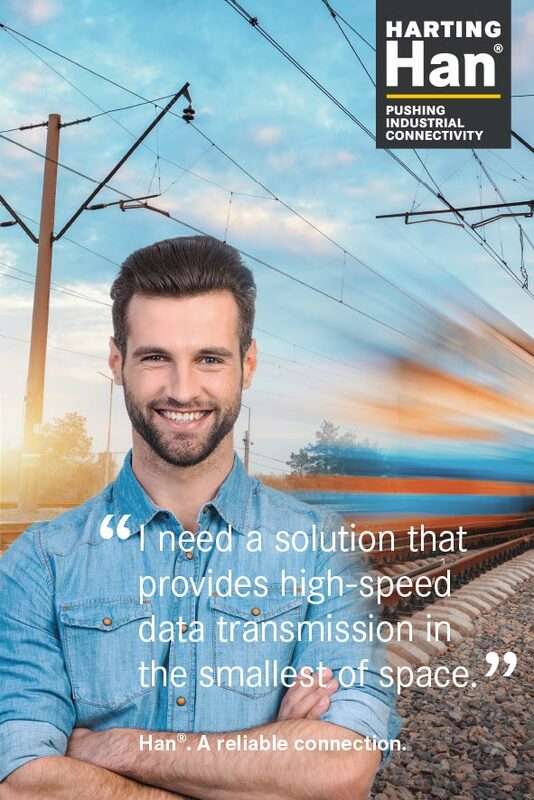 Request your FREE consultation: High-speed data transmission in the smallest of space! Compared to its predecessor, the category permits a transmission in higher frequency range. 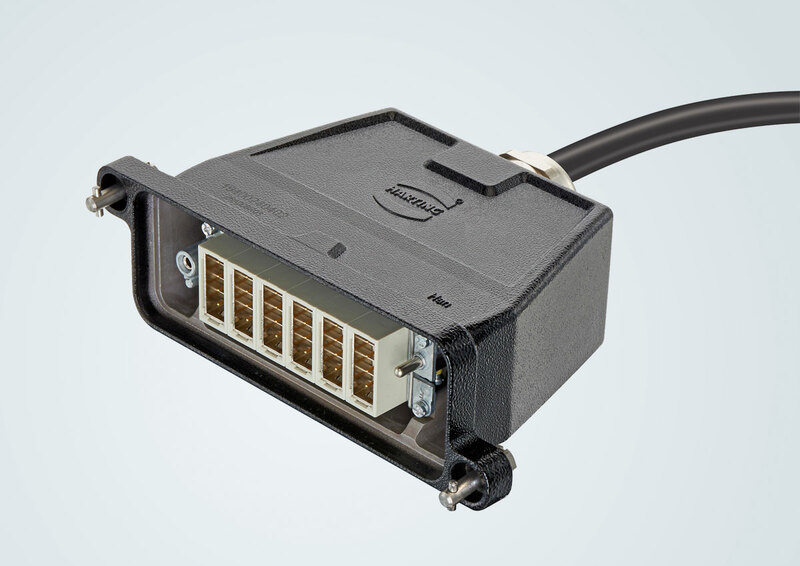 With the Han® Gigabit module, HARTING has introduced the first modular connector designed for a Cat. 7A transmission category, providing in parallel a 10 Gigabit Ethernet bandwidth. The advantages of the new standard are clear: compared to Cat. 6A, signal integrity has significantly improved. Since Cat. 7A cables consist of four individually shielded pairs of wires, which are surrounded by yet another shielding braid, the security of transmission against electromagnetic interference has also benefited. The new Han® Gigabit module enables Cat. 7A transmission in the inter-vehicle area, including positive effects like interference immunity and higher frequency bandwidth for the data flow. The interface is also shock and vibration resistant according to DIN EN 61373, category II. Get in touch with us and talk to an expert from our product management! You will learn more about our solutions for high-speed data transmission and space savings enabled by the Han® Gigabit module (Cat. 7A).